This event is the obvious next step for yachts competing in the Mount Gay Ocean Race. The RORC Caribbean 600 has rapidly become a Caribbean favourite to stand up alongside such offshore race classics the Fastnet, Newport-Bermuda and Sydney-Hobart events. 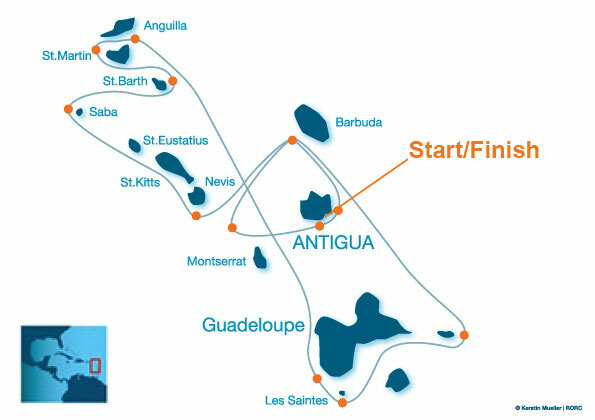 Starting and finishing in Falmouth Harbour, Antigua, the mecca of Caribbean yacht racing, this 600 mile course takes competitors around, or past, 13 of the Leeward islands from Isles des Saintes in the south to Anguilla in the north. Conceived over a beer at Antigua Yacht Club by John Burnie of the RORC and a few AYC members, the C600 was first raced in 2008, this event has already attracted more than 60 of some of the most stunning racing machines around from all over the globe for this rapidly growing Caribbean event. 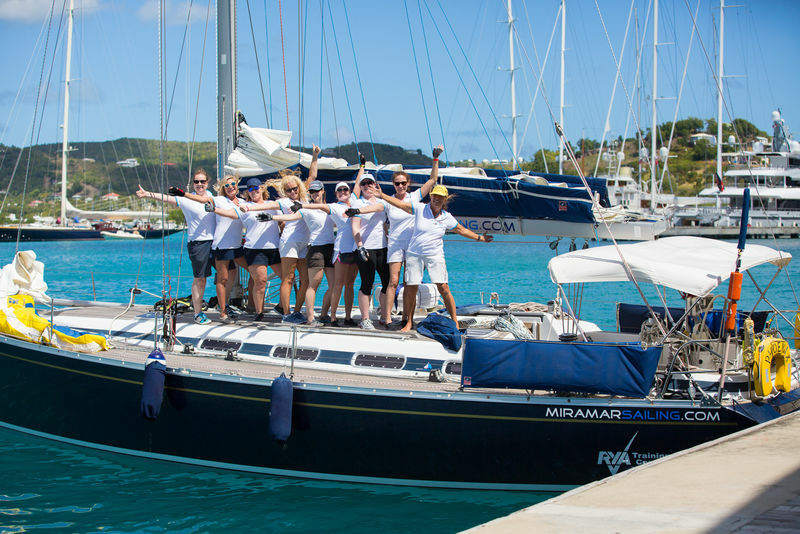 Pippa competed in 2015, on the V60 Cuba Libre, accompanied by a few of our Yachtmaster Xpress students, and again in 2017 on our yacht Phoenix with a mixed crew of students and instructors, and yet again in 2018 with our first all female crew. There was unanimous agreement that it was one of the most thrilling sailing experiences they will ever have! In 2019 she is again entering an all female crew on the yacht Phoenix, our Grand Soleil 46.3. All our yachts eagerly await every edition! !